We were deeply saddened to learn that Murielle, one of the children living in the children’s home supported by the FONMEH e.V. project supported by Charity Cat, has passed away. 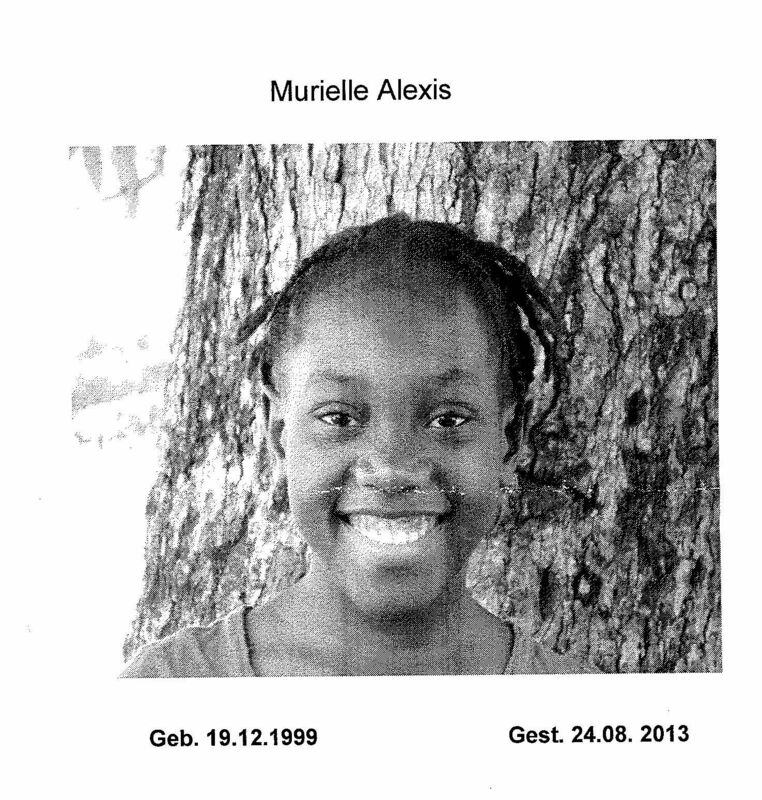 Murielle died on 24th August 2013 in hospital in Port au Prince at age 13 following a short period of illness. She was diagnosed with sickle-cell anaemia when she was taken to hospital by staff from the home. Together with FONMEH we had planned to bring her to Europe for a therapy, but unfortunately lost the race against time. Murielle was born on 19th December 1999 in the South West of Haiti. She joined the children’s home in May 2011 as her family found it difficult to support her and three siblings, so of course she wasn’t turned away. Murielle was a child full of joy who loved her books and the opportunity to go to school. She was one of the best in her class. In June she contracted this illness, of which she died in hospital in the presence of her mother. She was buried in Les Cayes. The other children from the orphanage, family and neighbours were present at the funeral. Our thoughts are with her family.